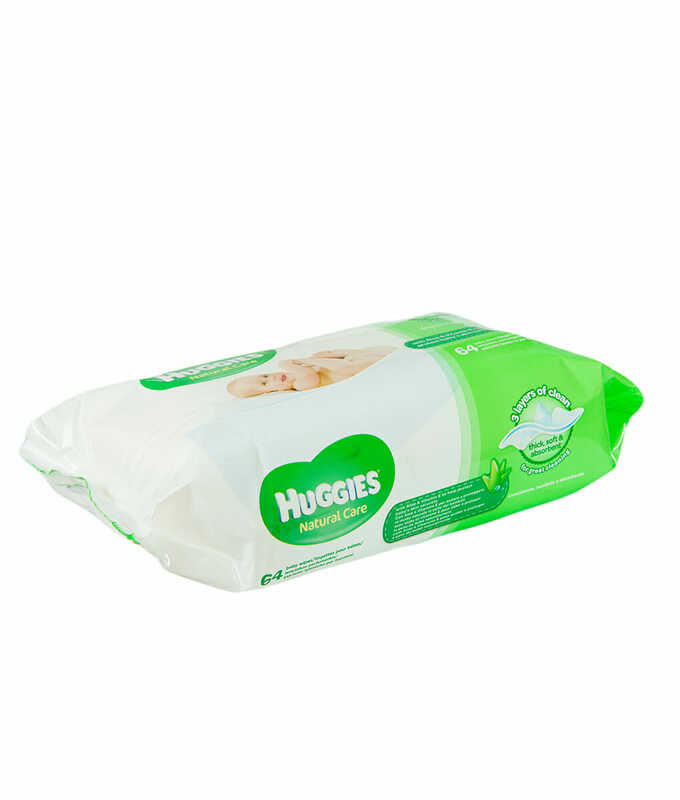 Care for your baby’s delicate skin from the very start with Huggies Natural Care Wipes, now softer for sensitive skin. With these hypoallergenic Natural Care Wipes, you can trust that you’re giving your baby a soft, gentle clean each and every time. 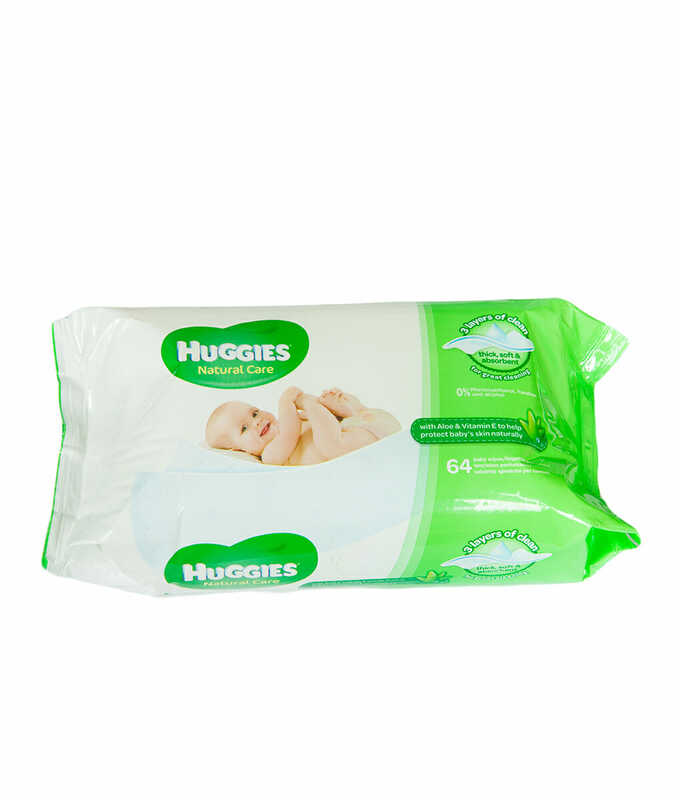 Featuring the simplest baby wipes formula yet, Huggies Natural Care Wipes are made with a solution of 99% water, aloe extract, and vitamin E infused into the super soft TripleClean layers of the wipes. The layers are thick enough to handle any mess and ultra soft so they provide a gentle clean for your baby’s sensitive skin. 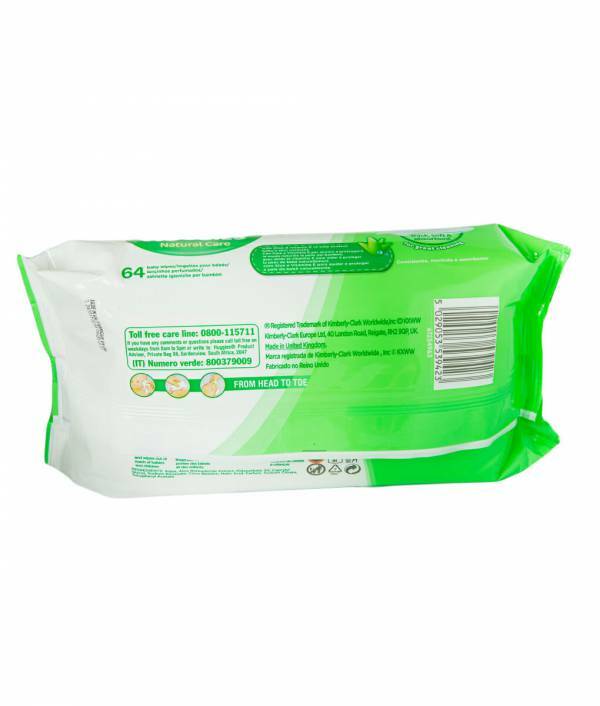 These dermatologically tested hypoallergenic wipes are also fragrance-free, alcohol-free, MI-free and paraben-free. A must-have for your nursery, the Natural Care wipes dispenser tub has a convenient pop-up dispensing lid for quick and easy access to wipes from packs of any size or design, allowing you take care of messes as soon as they happen. 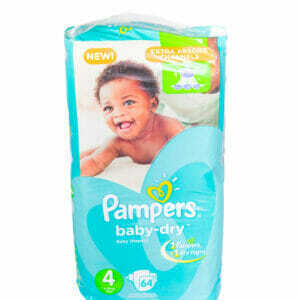 Here’s a tip: they’re for adults too! 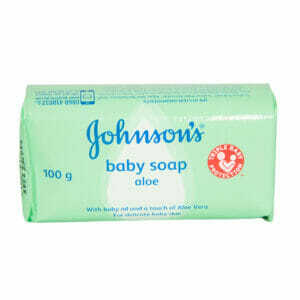 They have no scent and are completely free from all artificial additives, so you never have to worry about rashes or other skin irritations. 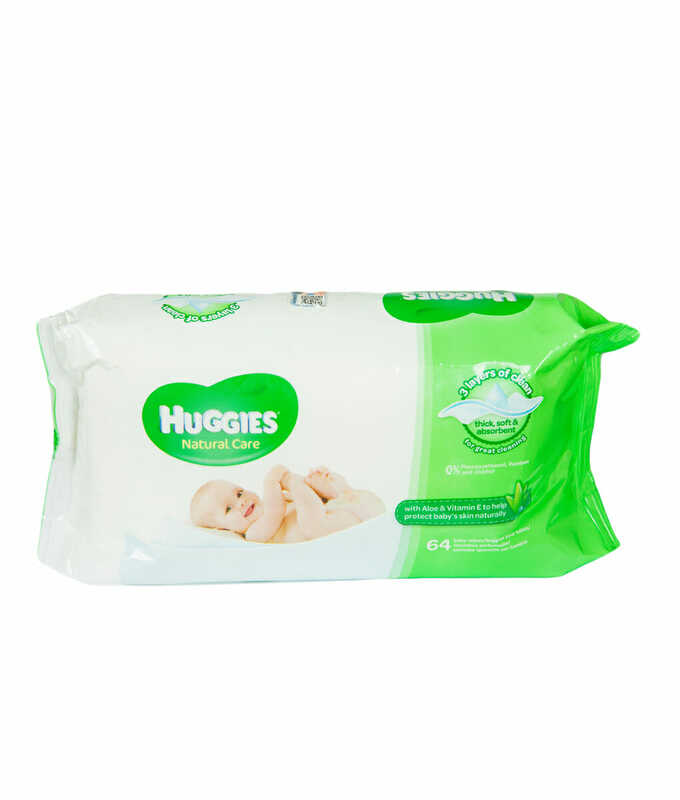 Be prepared for every diaper change with Huggies Natural Care Baby Wipes, specially designed to help keep baby’s skin clean and healthy.